The old county of Avon now comprises the authorities of Bristol, South Gloucestershire, North Somerset and Bath and North East Somerset. Attractions include part of the Mendip Hills in the south of the region, the Avon Gorge, Elegant Bath and part of the Cotswold escarpment in the east. Rural Bedfordshire offers some delightful walking. There are areas of gentle wooded scenery and many attractive unspoilt villages. Part of the Chiltern Hills Area of Outstanding Natural Beauty sweeps across the south and centre of the county. Dunstable Downs provides open country walking while, on the western border, the Grand Union Canal towpath provides a waterside route. Berkshire holds many delights for the walker. The rolling Berkshire Downs provide open space and broad vistas. Ancient trackways including the Ridgeway and Icknield Way cross this bracing landscape, golden with wheat fields in summer. In the east Windsor Great Park provides pleasant walking and interesting wildlife. You will find additional guides covering the Thames Valley and Chilterns areas listed in the English Regional Guides/SE England section. A large part of the Chiltern Hills lies within Buckinghamshire and walking guides to this lovely region are included here. Much of the Chilterns are covered in dense Beechwood, dark green and cool in summer, a flame of glorious russets and gold in autumn. In springtime glades of bluebells provide a misty blue carpet in dappled sunlight. Fine views are to be had at summits such as Ivinghoe Beacon in the extreme south west of the county. Walking the Chilterns is an experience not to be missed. Much of northern Cambridgeshire is fenland, in which a watery landscape of meadows and streams predominates, as at the Isle of Ely. In what was once Huntingdonshire cattle graze on drained pastures that are flat, but not always featureless. There are lovely riverside villages along the Greast Ouse. The beautiful colleges and riverside walks of Cambridge University are well worth exploring. South of Cambridge the land rises to the cereal growing uplands which provide a very different walking landscape. Cheshire is a county of delightful walking contrasts, from the black and white 'Magpie' villages of the Cheshire Plain to the sheep farming uplands of the Pennine foothills. This section also includes Merseyside and the Wirral. Sun, sea and spectacular coastlines. Idyllic coves, sandy beaches, picturesque fishing villages and a footpath that connects them all. Cornwall makes a great walking destination, either walking parts of the SW Coast National Trail or exploring the inland Areas of Outstanding Natural Beauty such as Bodmin moor, the peaceful Helford River or the Camel Estuary, or the Lizard and Roseland Peninsulars. Much of the North Pennines Area of Outstanding Natural Beauty lies within County Durham. Sweeping heather clad moors provide wilderness walking and a sense of space. Discover the Durham Dales, Weardale, Teesdale and the Derwent Valley which offer a blend of rugged upland, majestic waterfalls, gentle river valleys, wildflower meadows and drystone walls. In the east there is a stunning coastline with sandy beaches and exhilerating cliff top walking. there are numerous country parks, forests and, of course, Durham city home of the Prince Bishops. Most of Cumbria is included in the Lake District National Park. For guides to the Lakes see the National Parks Section. This section includes the Eden Valley, the Howgill Fells, Lunesdale and other areas of Cumbria outside the National Park Boundary. These areas offer glorious scenery and tranquillity away from the summer crowds in the Lake District National Park. Explore the beautiful scenery of the Derbyshire Dales. 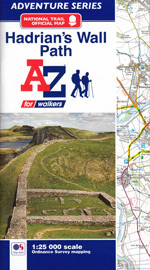 Routes from all of the unspoilt pretty villages are included in our guides. Add interest by following one of the many trails such as the Tissington Trail, the High Peak Trail or the Monsai Trail which all follow disused railway lines. Explore intriguing rock formations including Black Rocks at Cromford, Stanton Moor, Rowtor Rocks at Birchover or High Tor at Matlock Dale. Glorious Devon rightly deserves to be one of England's favourite holiday destinations. It has everything from the the warm English riviera of the south coast to the dramatic rugged cliffs of the north coast. Protecting the southern coast is the wild and brooding mass of Dartmoor National Park, a stunning contrast and providing a unique walking experience. In the north east, part of the softer fissured moorland of Exmoor tumbles over the county boundary. Central Devon is also enchanting with it's rolling green hills, narrow winding lanes and sleepy villages. The East Devon Area of Outstanding Natural Beauty provides a rich coloured tapestry of red, lush green and chalk white. The Blackdown Hills AONB, a series of ridges on the Devon / Somerset border, provide easy pleasant walking with very few people. The only problem with Devon is being spoilt for choice. 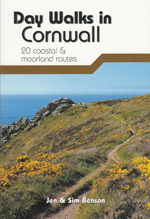 Please also see Dartmoor and Exmoor National Parks sections for more books on these areas. Dorset, Hardy's Wessex country, is perhaps the most rural and unspolit county in southern England. As such it offers many delights for the country walker. Our guides point you towards all the best locations and routes to explore. The Dorset Area of Outstanding Natural Beauty is typical of this rural landscape with heaths, chalk downs, pastoral vales and deep country lanes. The Dorset Heritage Coast include such unmissable delights as Lulworth Cove, Durdle Door, Chesil Beach and the sweeping cliffs of Lyme Bay. Epping Forest, final outpost of a vast Saxon and Norman hunting ground, provides splendid walking close to the capital. Explore its sunlit glades and magnificent hornbeams. The willow lined river Stour, north of Colchester, provides beauty and peaceful walking past water meadows and historic churches. The Colne Valley provides woodland walks in farming country and the lonely coastal marshlands are a bird watchers joy. Gloucestershire has three distinct landscape regions, each providing enjoyable walks. The Forest of Dean, one of the oldest forests in England, draws the walker along its semingly endless forest trails. This enchanting unspoilt region is one of England's woodland gems. Severn Vale in the centre of the county offers pleasant riverside walks. Gloucestershire's most glorious region is the wooded Cotswold escarpment with stunning views over the Vale. The escarpment and much of the Cotswold Area of Outstanding Natural Beauty fall within the county. 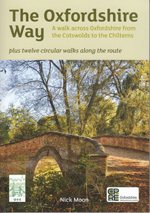 You will find Cotswold titles listed here. If there's one thing you can be sure about when walking in London, it's plenty of interest. Here, in the Capital, you are surrounded by history, great architecture and delightful parks. You'll be surprised how much open space and peaceful countryside the guides in this section reveal in addition to some facinating excursions in the built environment. If you are looking for walks a little further out from London check the home county pages as well. Hampshire is a county of contrasts and many aspects. In the south east the woodlands and heaths of the New Forest offer endless pleasure, and with luck you might spot a wild deer. In the north and west stretch the open chalk uplands of the North Downs, big sky walking country. In the east the more intimate landscape of the hangers, beech woods clinging to the steep chalk slopes and seen at their best near Selborne, provide great walks with literary interest. The Isle of Wight is also included in this section and has much to offer the walker with beautiful coastal and country walks and the best maintained footpath network in the UK. One of England's most rural counties, Herefordshire offers peaceful walking through rich green farmland, idylic woods and coppices. In the south west you can walk among hills and meadows with the backdrop of the Welsh Black Mountains. There is beautiful riverside walking along the Wye Valley and the River Dore along the Golden Valley. East of Hereford is a land of cider apples, hops, chestnut Hereford cattle and sheep. A county where quiet rural backwaters and attractive villages can be found away from the busy routes, and where peaceful and relaxing walking can be enjoyed. Discover this charming countryside for yourself. For centuries this quintessentially English county has been known as the 'Garden of England', with its famous orchards, hop fields, vineyards and gently wooded countryside. Surrounded by a beautiful coastline, this is a landscape dotted with pretty villages, stately homes and gardens, ancient castles and traditional oast houses. Endless scope for enjoyable walking! Lancashire's Hill country is by far the most attractive and interesting for walking. The beautiful countryside in this region embraces the rugged and varied terrain of the Forest of Bowland, a designated AONB, and the secluded open moors in the South and West Pennines. Pendle, famous for its witches, and the Ribble Valley are both great locations for walking in Lancashire. There are stunning views, attractive villages, lovely rivers and streams, woodland, reservoirs, canal side paths and much else to explore and enjoy. Our guides have walking routes to take you to the most attractive locations, whatever part of Lancashire you want to explore. The Isle of Man is also included in this section. Leicestershire, part of the North Midlands, is a county of surprisingly varied landscape. Charnwood Forest provides facinating and dramatic walking amongst the ancient pre-cambrian granite outcrops and remaining oak woods. The county has many rural areas with quiet sleepy villages and rolling countryside ideal for walking. This section includes Rutland. There's plenty to explore in Linconshire; the county is about forty miles wide and seventy miles long with a variety of scenery including fenland, woodland and, of course, the famous Lincolshire Wolds which provide glorious walking country. Think of Norfolk and you most probably think of the Norfolk Broads, those lovely stretches of water linked by the rivers Bure, Ant and Thurne. This National Park, has beautiful waterside scenery and pretty villages such as Potter Heigham and Horning providing enjoyable walking. But Norfolk also has many other lovely places to walk including the coastline and the books listed here will help you find those places. There are many pastoral landscapes in Northamptonshire, where you can find peace and enjoyment in the countryside. The Nene Valley and Rockingham Forest being just one example of attractive walking areas. Find many more with the books listed here. A land of wild hills and moors celebrating nature's unspoilt beauty, stunning coastlines with abundant wildlife, dark forests and the drama of human history potrayed in romantic castles and Hadrian's Wall. Walks include the Cheviot Hills, Kielder Forest, Hadrian's Wall, Breamish Valley, Coquetdale and the Simonside Hills. (See also Northumberland National Park section for further guides to this area). Lovely walks in Sherwood Forest, the home of Robin Hood, are a highlight of Nottinghamshire. The Trent provides attractive riverside walks in the east of the county. From the Cotswold Hills in the north, to the chalk downlands of the south, Oxfordshire offers endless opportunites for memorable walks. There are endless walking possibilities within Shropshire's 5,000km of public paths, but the most important areas are the hills of the south west between Ludlow and Shrewsbury. Church Stretton, roughly in the centre of this area is an excellent base. The hills of Long Mynd, Wenlock Edge, Stiperstones, Clee Hills and Clun Forest all offer spectacular open walking and panoramic vistas. The quiet, green valleys and Dales between these ranges are also beautiful walking country. Five ranges of hills, the Mendips, the Quantocks, the Poldens, the Blackdowns, and the Brendons, provide wonderful walking and spectacular views. South Somerset is a rural idyll with gentle landscapes, sleepy villages and colourful beauty in the fields, orchards and woods. The important and hauntingly beautiful Somerset Levels provides a complete contrast to the deep and dramatic Cheddar Gorge with its soaring limestone cliffs, and yet these different landscapes are but a few miles apart. 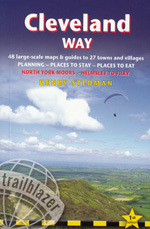 For more books with Exmoor walks see National Parks/Exmoor section. The Staffordshire Moorlands, in the north of the county, has to be the best area for walking. Situated on the southern fringes of the Peak District it's an ideal base for everything from gentle strolls to energetic hill walking. Other attractions include the Manifold Valley and the western side of Dovedale. The beautiful Stour Valley provides idyllic waterside walks. There are many charming villages to discover and a wonderful coastline. Explore also the empty heathland of The Brecks and the coastal forests. The Surrey Hills Area of Outstanding Natural Beauty provides many of the best walking locations in the county. From west to east the sandy heaths, beech clad hills and rolling chalkland of the North Downs provide open space and very pleasant walking. Surrey may be a crowded county, but these guides will take you to places of delightful countryside and peaceful tranquility. East and West Sussex offer a facinating choice of landscapes in which to walk. Behind the coast lie the South Downs, a chalk ridgeway of sweeping grassy slopes, the location of an ancient route, The south Downs Way, walked by stone age man. Beyond, northwards lies The Weald, an affluent countryside filled with glorious woods, pretty villages, orchards and hop farms. Warwickshire lies at the very heart of England, a county of leafy lanes and paths, remnants of the once vast forest of Arden. The gentle wooded countryside has many old manor houses, and picturesque villages of black and white thatched cottages. Stratford-on-Avon and Shakespeare country typify this image with lovely riverside walks. To the south there is a taste of the Cotswolds. Dominated by Birmingham at its centre and with the urban sprawl of the Black Country spreading out to the west, this region is home to millions of inhabitants. Where can they go to escape the built environment and spend some leisure time in touch with nature? 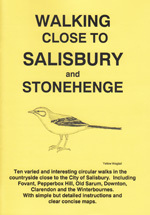 The guides listed here reveal all of the many locations where it is possible to walk in open spaces and attractive countryside. The wide expanses of the Marlborough Downs and Salisbury Plain provide exhilarating big sky walking with a real sense of ancient history at Avebury and Stonehenge. The Vale of Pewsey and Savenake Forest, part of the Kennet District, offer a complimentary landscape which also has many enjoyable walking opportunities; and the Kennet and Avon canal, joining the two rivers, provides delightful waterside rambling through peaceful rural countryside. Worcestershire is one of the lovely rural counties of the heart of England, stretching from the Malvern Hills to the Cotswolds. Worcester, with its Severnside setting, splendid cathedral and world famous porcelain, is surrounded by wonderful walking countryside. The county has many other facinating riverside towns such as Bewdley, Stourport on Severn, Pershore, Evesham and Upton on Severn. There is glorious woodland in the ancient Wyre Forest and fruit orchards in the Vale of Evesham, a magnificent sight during Spring blossom time. Yorkshire is a vast and varied county in which the walker is truly spoilt for choice. Two National Parks, The North York Moors and the Yorkshire Dales are both, in very different ways, stunning walking landscapes. North of the Humber the Wolds are peaceful and unspoilt. And as if this was not enough there are also two Areas of Outstanding Natural Beauty; Nidderdale and the Howardian Hills. 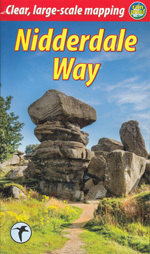 For a fantastic selection of books based on the National Parks please refer to the seperate sections on the North York Moors and Yorkshire Dales National Parks.